The workshop and mini retreat were designed for the woman (any age) in mind, who can not get away to a spiritual retreat for an entire weekend. 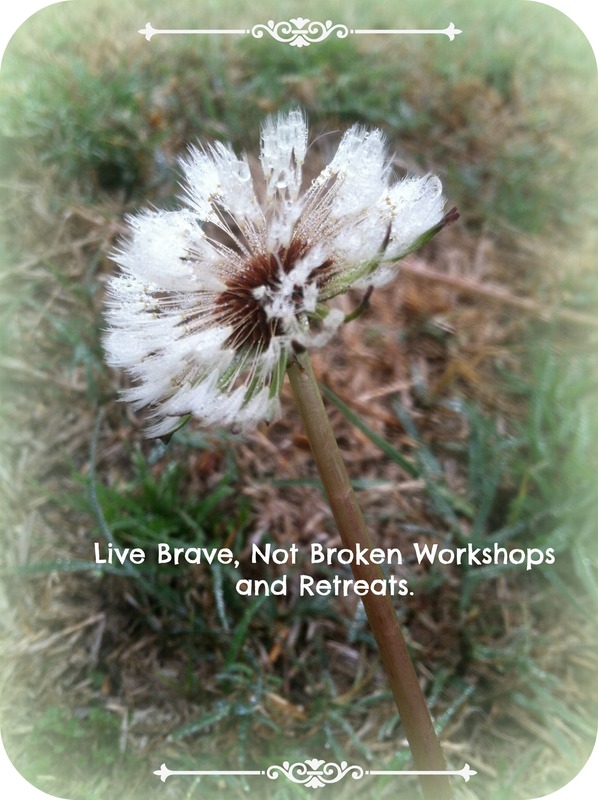 I have created these to bring the retreat to you in workshop form. All you bring are a journal, a pen and an open heart. Great little seminar for mid week small group get togethers. In our two hours together you will learn what it means to “Live Brave, Not Broken” by understanding these three concepts. *Activations are subject to change. Not only will we touch on the subjects discussed in the two hour workshop but we will also dive into what it means to live a FULL life based on my five principals for finding JOY. And learning that by being vulnerable, we are on our way to living a wholehearted life. *Two therapeutic art experiences using art mediums that might include, acrylic paint, watercolors, canvas, collage, oil pastels, etc. Again for both of these workshops – ALL SUPPLIES ARE COVERED. Fill out the form below if you are interested and have a group of women who might be interested. You must be able to gather atleast 5 women and provide a space large and quiet enough for every one to engage in these life-giving principals and activations. Hooray. So glad to have you. Don’t forget to join our Facebook community. Is it too late to enroll in the class?